The result is that we still know remarkably little about the Saxons and Vikings and less than we think about the Normans. At each stage, battles and occupations hung by a thread that could have been cut. How much of a change would have resulted is open to conjecture. The author has therefore enjoyed some freedom for interpretations. His speculation is interesting, enjoyable and in parts persuasive. This is a book that may encourage some heated debate, some disbelief, and some enthusiastic followers. Probably none of them will be able to claim they are ‘right’, because there are just so many areas where knowledge is incomplete. It is also possible to argue that what we have accepted as a ‘real and true’ history of the period is largely speculation based debatably on a handful of provable facts. SUBJECT: Angles, Saxons, Jutes, East Angles, North German migrants, Scandinavian migrants, Battle of Hastings, Norman Conquest. DESCRIPTION: Alternative histories are enjoying something of a fashion and most are good fun and provoking. This book takes a look at a period often known as the Dark Ages in the period after the Roman withdrawal from Britain to the arrival of the Norman French and the feudal organization of society. The singular lack of information available for the period gives maximum choice for anyone attempting a ‘what if?’ consideration of the times. Historians are often very good at making claims as though they were presenting settled facts that represented the real truth. There is scope for doubt even in very recent history. The victor writes the history and in a form that celebrates the victory and shows the victor in the best possible light. That can be a very long way from the complete truth as the discovery of the remains of Richard III has demonstrated. Much of what was known of Richard was Tudor propaganda and an excellent example of careful propaganda where distortions are hung on a few facts, building into a picture that is a serious distortion, both of the defeated and of the victors. Before the land bridge from Britain to Europe was destroyed, it is becoming clear that people migrated back and forth between Britain and Europe. After the land bridge was inundated, it is becoming clear that there continued to be a migration and trade by boat across the North Sea. Some time before the Romans withdrew from Britain raids from Scandinavia and North Germany were common and presented sufficient threat for the Romans to construct some substantial coastal fortresses. Once the Romans had left, these raids became more frequent but recent examination of surviving records suggests that there was no large invasion and some of the Germanic warriors were actually invited to form armies to protect the native population from other raiders. It is also coming to be more widely accepted that the indigenous Romano-British tribes were not killed or driven out to the edges of the main island, to Wales and Cornwall. There is also an increasing appreciation that the Romano British saw the tribes in Scotland and the North as a greater danger than the Germanic arrivals. At least one Germanic mercenary force was hired specifically to defeat a series of incursions from Scotland. The new immigrants are now considered to have arrived in relatively small numbers, merging with the Romano British native population. They brought with them a language, a social order, and an approach to building and farming that was generally similar to the later migration during the Viking period. As a result, Britain probably remained an essentially pagan society until very late in the Saxon period. The Vikings may have come as raiders, but they also came as traders and settlers. 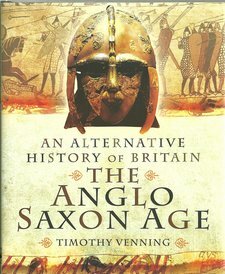 As the Saxons had merged with the Romano British, the Vikings merged with the Saxons. Even ‘Saxon’ can be a misleading term, at least in some interpretation from the time and recently. The Saxons were one of three groups of Germanic immigrant. In this sense, Saxons were from the North German and Batavian tribes. The Jutes were from the area of Jutland and what are now the Danish islands, and the Angles claim to have originated from Sweden. When the Viking raids began, the ‘Danes’ included a broad mix of Scandinavian people, including some who had previously migrated through the river systems of what is now Western Russia and the Ukraine. They also include people from what is now Germany and the Netherlands. During the Saxon period and arrival of the Vikings, the population was not made up of crude farming communities. Some outstanding art is continuing to be uncovered and the Saxon and Viking communities enjoyed a sophisticated warrior-based society that was remarkably equal and free of class and discrimination. Both groups made great use of spoken history, but both also wrote and maintained records, some of which have survived. There is some evidence that Christian priests collected pagan writings and incorporated these into records they claimed as their own. The monks did produce histories, but these were largely propaganda written for the particular leaders they supported. When the Normans arrived, the Duke of Normandy may have brought the French language and the feudal system, but he and his supporters were themselves descended in part from the Germanic and Scandinavian migrants of earlier centuries. Having arrived, the Normans did impose their will on the population, building castles and using mainly their own people to provide the soldiery, forming a class structure, where Normans dominated society.